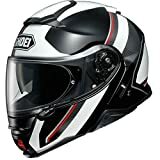 Shoei is a Japanese company and is known globally for being the manufacturers of motorsport helmets. The company has its roots deep in the last century. It’s very first batch of motorcycle helmets reached the market in 1958. However, it had been manufacturing protective helmets since 1954, although exclusively for the construction industry. With the rising popularity of motorcycle racing in Japan during the 60s, it decided to dedicate its resources and facilities to the venture of making quality products to the sports lovers. ​There are several reasons behind the popularity of this brand, which in turn translates to the desire for its products worldwide. Time and time again, Shoei Co. Ltd has shown that it is more innovative than its competitors and cares for customer’s safety. ​For instance, during the 70s, it was the first company to develop lightweight carbon fibre helmets. 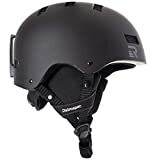 Down the line, it created even more exciting products such as the GRV helmet containing Kevlar and carbon fibre, a helmet with the dual liner ventilation system and coverless shield system, and other popular helmets such as Neotec Anthracite, Solid VFX-W, RF-1200 and the Shoei Rf-1200 Inception Tc-1. Its current product which is making headlines all over the world is the X-Fourteen. 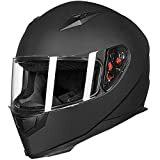 There are several features and advantages of the helmets from the company, which are given below. First of all, we have the shield. 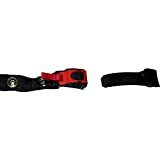 It is specially designed to allow the wearer’s vision to remain unclouded and undistorted. From the shape of the shield, you can also see that it not only protects you from the wind, dust and cold, but the curved shape repels dust particles as well. At the same time, it is protective enough. While shields are understandably not as strong as other parts of the helmet, it offers considerable protection. Moreover, it is properly set so that a shock does not dislocate it off the helmet. Secondly, let us come to the shell of the helmet. As you can understand, it is one of the most important parts of the product. Shoei has made this section with the best interests of the consumers; making is as safe for them as possible. It is strong enough to withstand significant trauma and pressure, while not being oppressively heavy. In the case of a fall, it absorbs the energy of impact, keeping you safe from harm of blunt trauma. During such circumstances, it is able to distribute the energy of the fall or impact around a wide area, dissipating the energy to a great degree. Thirdly, let us come to the EPS liner, which is another sign of the company’s constant innovation. This is a strip directly below the shell and acts as a second layer of the protective shock absorber. It is strong enough to absorb the energy of a blunt trauma. Anything which the helmet shell is not able to stop shall be blocked at this level. The X-Fourteen is not all about protection. Enough care and effort have been given to make users comfortable as long as they are wearing the item. For this purpose, there is a Comfort Liner or inner padding. While it might not protect your head, it does keep it snug and comfy for as long as you care to wear the helmet. It is made of polyurethane foams for high quality and with various levels of toughness. Additionally, it is held tightly within the product itself. Now let us come to one of the revolutionary features of the-the X-Fourteen: its ventilation system. Have you ever felt majorly uncomfortable under a helmet, feeling like all sight and sound has been robbed suddenly? Did you feel oppressively hot within as if you were sitting in a sauna instead of a bike? Then this is one feature which you will be a delight to hear about. This helmet comes with special areas, which are designed to allow air in and out. While you cannot expect a tiny air-condition machine inside, you can expect to complete the journey without a sweat, pun intended. The ventilation system allows cool air inside and forces warm air from within to rise up through areas of low pressure. On the helmet’s shell, one can see carefully designed inlets and outlets for the passage of air both ways. This does not nullify the advantage of the shell at all but gives you superb comfort. There are six areas for cool air intake and 6 outlets for warm air. Yet another wonderful feature of the helmet is that it offers superior noise reduction advantage. The developers have given a lot of thought about this, which is evident from the fact that there are two ways of noise reduction. The first method is through the optimization of aerodynamics, which is effective for the noise made by passing the wind. Other unwanted noise can be negated through the padding and the shape of the helmet itself! 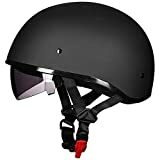 There are a few cons of the helmets which one should know about. First of all, the EPS is designed for withstanding a single impact. While it is more than enough to block one impact, it might crack under pressure from multiple ones. Another disadvantage can be that it may take considerable effort for its maintenance. For instance, the outer shell and the shield are made of various materials and, therefore, need to be cleaned by different items. 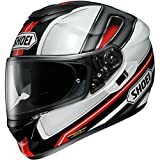 ​Shoei offers various products such as the X-Fourteen, the RF-1200 and GT AIR. These are the finest examples for on the road helmets. However, if you seek products solely for sports, then the Hornet X-2 and the VFX-W are not far behind. 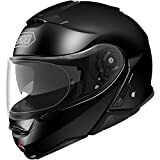 ​If you are someone who uses his or her bike often, and worries about safety and comfort, then the Shoei motorcycle helmet are perfect for you. These are provided with features galore which makes them a delight to wear.